As the group of Qinling golden snub-nosed monkeys jumped from tree to tree, Marsel struggled to keep up, slipping and stumbling over logs. Gradually he learned to predict their behaviour, and captured this male and female resting. With the Sun filtering through the canopy, they are bathed in a magical light, their golden hair glowing against the fresh greens of the forest. This pair belongs to a subspecies of golden snub-nosed monkey restricted to the Qinling Mountains. 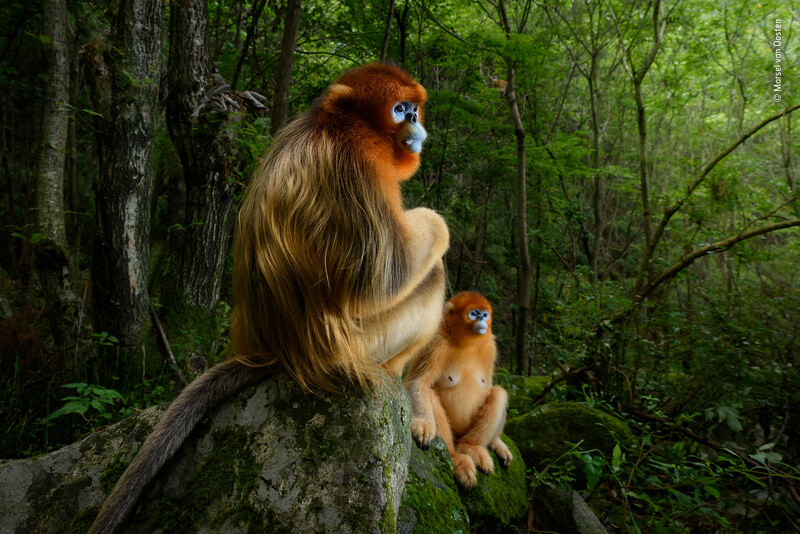 Among the most striking primates in the world, these monkeys are in danger of disappearing. Their numbers have steadily declined over the decades and there are now fewer than 4,000 individuals left.